You’re playing a full ring cash game, seated in middle position. You have a pair of tens and are facing a raise from under the gun of three times the blind. Download the Texas Holdem Poker App on your device now! 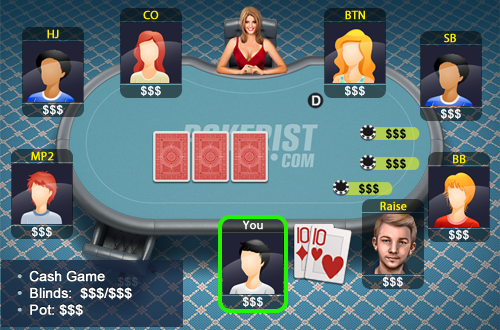 Play Pokerist Texas Hold’em Poker now – For the best free-to-play, social, online, and mobile casino games. Download Pokerist Texas Hold’em Poker today. With free daily bonus & free chips.